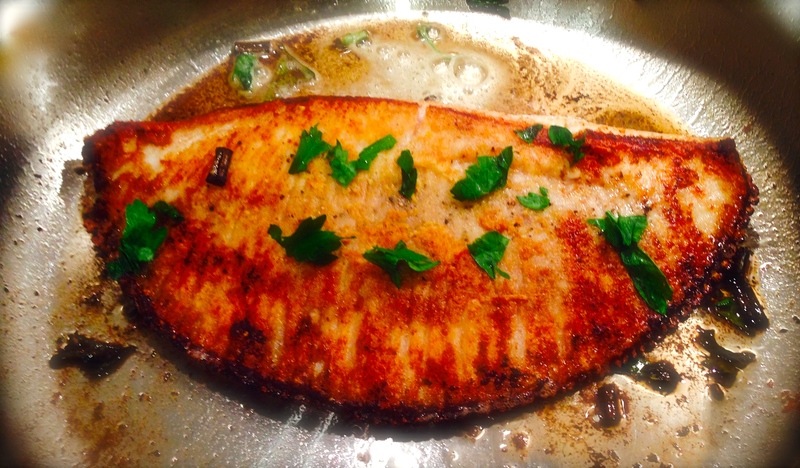 Just as vegetables change with the season, so do fish options. No longer are we limited to tilapia, shrimp and salmon. Now softshells have started to appear. But at $8.99 for one, I’ll wait a few more weeks for prices to drop to something that won’t make me chokel. 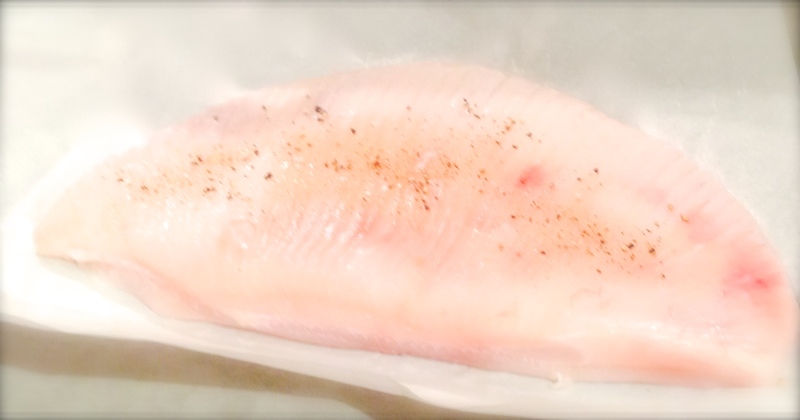 Instead, I went with skate at a much more reasonable $9.99/lb. Don’t be scared off by the shape of the fish. Its mild taste will make you a fan. I even convinced the man next to me at the fishmonger to try it! I hope his turned out as well as mine did. Here’s the recipe for you. Heat a large saute pan over medium heat. Add 2 tbsps of the butter. 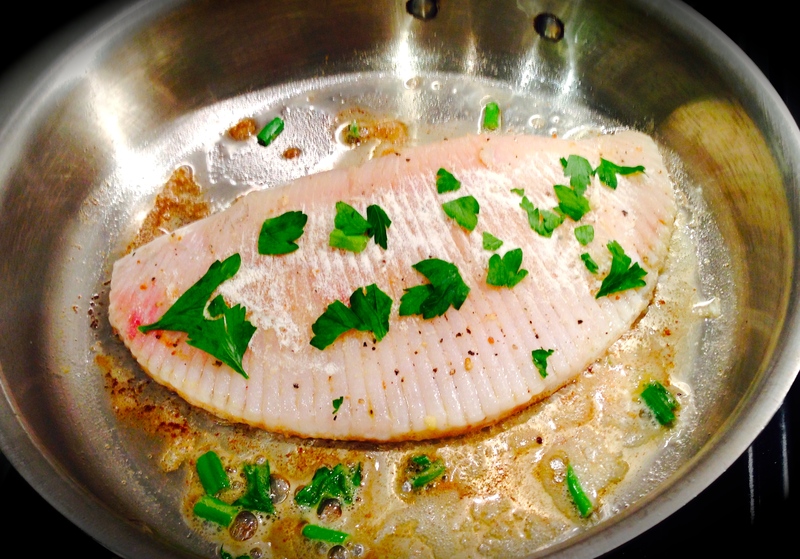 When bubbling, add the fish and top with some parsley and scallions. Cook for 5 minutes. Then flip it over. It should have a golden crust like this. Add the remaining butter, more parsley and scallions. Add the sea beans now as well. Cook for 3 minutes. Then set aside. 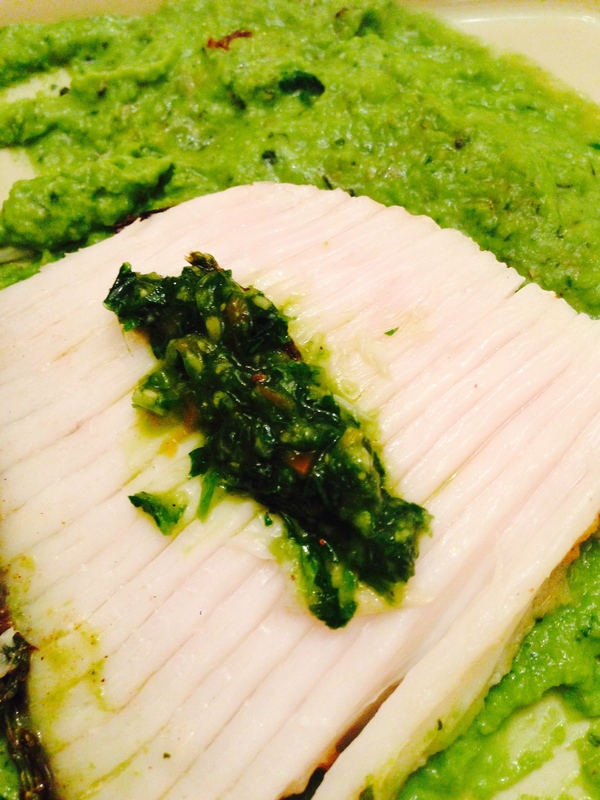 In the meantime (or before), make the pea puree. In a small pot, add the peas and 3 spigs of mint. Cover with water. Bring to a boil and cook for 3 minutes. 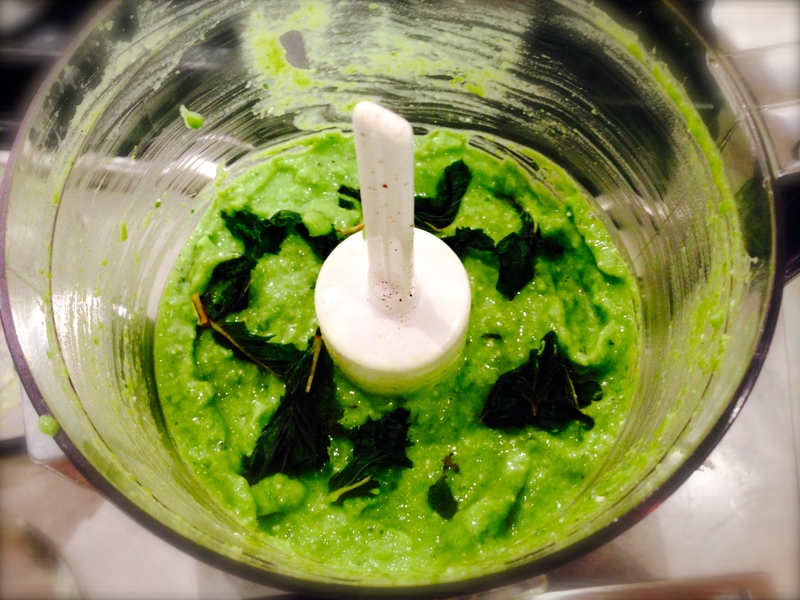 Add the peas and the mint to a food processor. Mix until smooth. Throw in the additional sprigs of mint. Add the feta. Blend. Then add the mascarpone or sour cream. Sprinkle with salt and pepper. Blend. Taste and adjust seasonings as needed. I cut this in half for 2 portions instead of fileting it. It looks like a slice of pie. You may want to filet the fish before you plate it, depending on you dining companion. If so, just find the bone in the middle and slice horizontally across. It’s very easy. 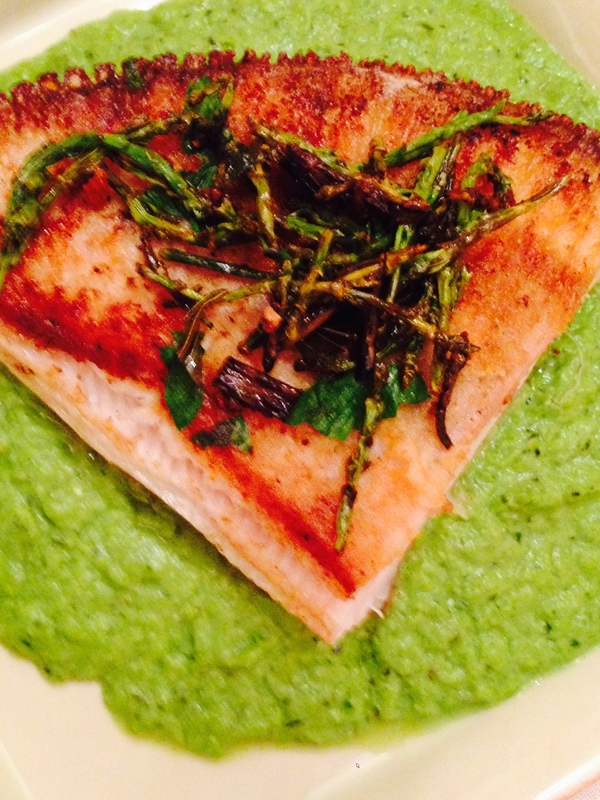 Plate over the minted pea puree with sea beans on top. After I ate the top half, I removed the bones. The pan-seared part is underneath since I wasn’t thinking about how to eat it before I served it. To drink: I’ve been on a candied ginger kick since we came back from Vietnam. If you don’t feel like using a shaker or muddling to make a fancy cocktail, simply pour 4 oz of gin over ice, add fresh lemonade, a few sprigs of rosemary and a piece of candied ginger. For wine options, I like a Gavi or rose – since it’s finally warmed up! I like skate but don’t see it often. Good idea to pair it with peas and mint.